Well, we can't say we'd be too upset about our Alexa mistakenly playing a classic Say Anything track! If you thought the Amazon Alexa was strange because of its ability to laugh randomly at users or identify when you’re sick, then you’ll be in for a treat. In a new viral video from Facebook, one little girl has gained quite a following after Alexa played one of Say Anything‘s classic tracks, rather than the song about “baby sharks” she was hoping for. The video, that has now gained 12,385,830 views since the publishing of this article, has gained quite the following. While we wouldn’t be mad about getting Say Anything’s Baseball: An Album by Sayanything track, we’re happy she got to hear her “Baby Shark” song, which is all that matters. The video has no gone viral on Facebook, and for good reason, it’s absolutely adorable. In other Say Anything-related news, the band recently dropped their song “Daze,” which is taken from their forthcoming Oliver Appropriate full-length. 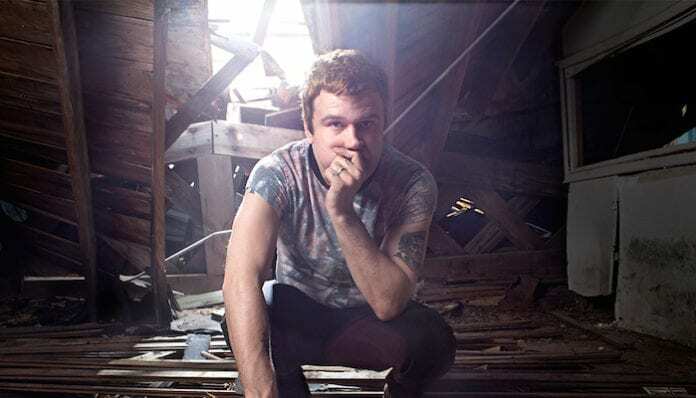 The song followed an announcement from frontman Max Bemis, where he detailed plans to “kind of sort of, end Say Anything.” The announcement came in the form of a lengthy statement on the new album, the future of the band, and more. The singer revealed the album “is not far off in the future,” but so far no date has been given. The band’s last album, I Don’t Think It Is, was released with no warning in 2016, so we can’t be surprised if they chose the same path for Oliver Appropriate. In his 10-page announcement, Bemis revealed that Say Anything’s upcoming album is a sequel to …Is A Real Boy. The album is set to follow a character, who Bemis named Oliver, 14 years after the first story took place. As a result of this decision, the group’s new album will not be followed by a tour, but that doesn’t mean new music won’t happen at some point.